Thomas The Tank Engine has long been a staple of kids TV. But now some parents are starting to question whether all episodes make for suitable viewing. Children’s stories have happy endings, right? Switch on CBeebies or Nick Jnr, and no matter what ridiculous situations the characters get themselves into, you can be pretty confident that there’ll be a nice and tidy ending that puts everything right and teaches everyone a sensible or moral lesson. 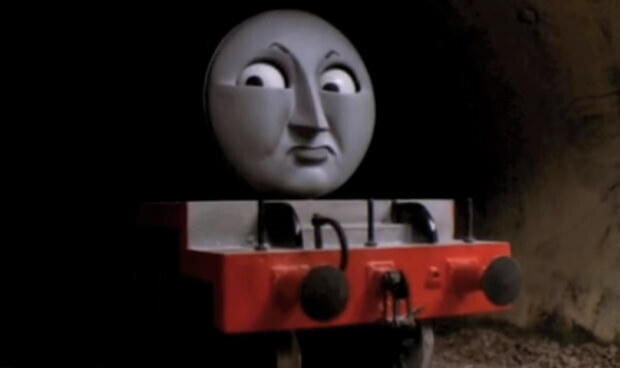 Which is what makes one particular episode of Thomas the Tank Engine that has surfaced online seem particularly harrowing. The episode is called “The Sad Story of Henry,” and first aired in the 1980s. It begins on a drizzly day in Sodor, the fictional island in the Irish Sea that serves as the show’s setting. 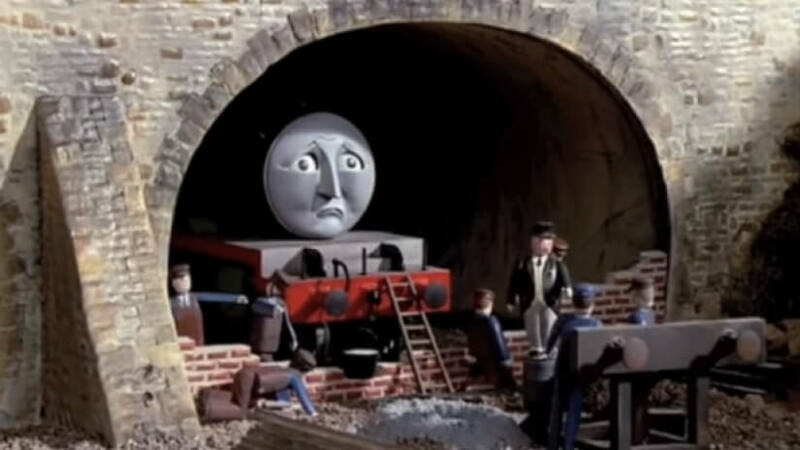 Henry, the curmudgeonly train, is afraid to come out of his tunnel, fearing that rain will ruin his lovely green paint and red stripes. Then Sir Topham Hatt, also known as the Fat Controller, arrives on the scene. He orders the passengers to pull Henry out with a rope, but Henry won’t budge. They push him from the other direction, to no avail. The passengers then tell Henry that it’s not raining; Henry, perhaps noticing that everyone still has their umbrellas out, refuses to move. 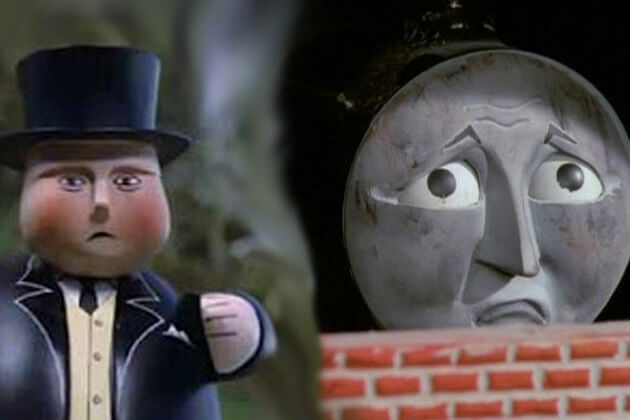 Realising that the day’s workflow is irrevocably disrupted, the Fat Controller decides that Henry must be punished – for life. “We shall take away your rails, and leave you here for always and always,” he tells Henry. 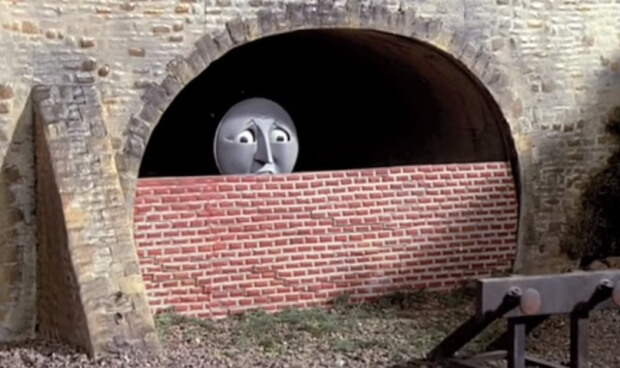 He then orders the railway employees to build a brick wall in front of Henry, entombing him in a tunnel, and leaving only half of his face visible. His train friends pass by: one snubs him, and another whistles hello. Henry has no steam left to whistle back. He spends his days alone, soot-streaked, wondering if he’ll ever be allowed to go back to work. “It’s worse than any horror movie,” wrote one Twitter user, while another questioned what lessons it might be teaching our children.